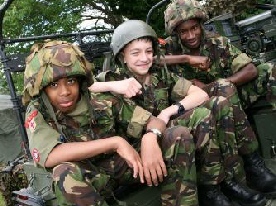 This April, 75 cadets attended the Easter Camp at Napier Barracks in Folkstone. This week long camp focused on training for one, two and three star cadet awards. We would like to congratulate many of the cadets who have completed their Duke of Edinburgh awards recently. Most of the training and expeditions were based out of Folkstone. Range days were also held at Hythe and Lydd ranges recently, where cadets had the opportunity to take part in Full Bore Shooting. Regular contact with the Force is maintained by Liveryman Douglas Leacy who provides the Company with up to date information on their activities and provides them with news about the Company’s events. 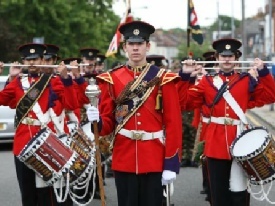 We are constantly looking at ways we can grow the Affiliation and increase the support we provide the Cadets. The Cadets have also provided the Company with a Cadet Guard of Honour at a number of our Livery Dinners.